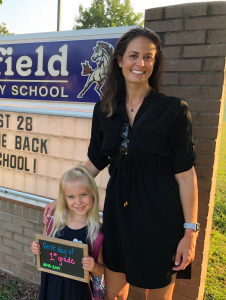 Executive Director Kristyn Burr with her 1st grader, Emery, on the first day of school. My daughter just started first grade at a new school, and it was the first year I’ve really been faced with the full school supplies shopping experience. Crayons, glue sticks, pencils, paper, markers, scissors … the list felt endless. And then, the shared supplies for the classroom – tissues, wipes, white board markers. Oh, and then the backpack, lunchbox, and freezer packs. Emery came with me, and her excitement at gathering all these new and colorful supplies was infectious—but as I stood in line surveying my shopping cart while she danced beside me, I thought to myself, ‘How would it feel to have to tell her we couldn’t get it all? Or that she couldn’t get that colorful lunchbox to match her backpack?’ It felt like a pretty profound moment right there in Target, as I thought of the hundreds of kids we try so hard to serve every year, whose families struggle mightily with providing these kinds of oh-so-important basics. We all want our kids to be able to put their best foot forward in school, but what if the best we can do doesn’t feel like enough? 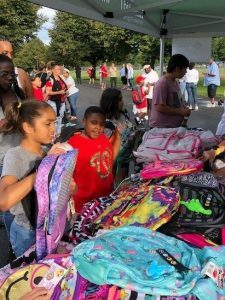 Enter our incredible supporters and partners, who donated and collected backpacks this summer, along with funds for gift cards to help buy supplies. Our team delivered the 400 backpacks we received, and it was a heady experience, getting to see kids’ eyes light up as they picked out what may be one of the first brand new things they’ve received in their young lives. My heart warms as I also think of families who have been experiencing homelessness being able to use their gift cards and getting to experience the same joy I felt while shopping with my daughter for the new school year. For many, September feels a bit like New Year’s, with new beginnings, new hopes and, of course, freshly sharpened pencils. Thank you, dear supporters, for giving so many tiny humans their new beginning. Just one more week ‘til our 4th Annual Golf Tournament, presented by John Darvish Construction Company and Darvish Interiors, on September 21 at Raspberry Falls Golf & Hunt Club! It’s a sold-out event, with over 144 golfers ready to tee up for a day of networking and friendly competition, and we have a strong contingent of sponsors. Thank you to everyone for your support of this always-popular event—it’s proven for three consecutive years to be a great fundraiser for us, and we’re looking forward this year’s tournament! We look forward to seeing our players, sponsors, and supporters next Friday! It’s always a crowd at HomeAid’s Annual Golf Tournament; we look forward to seeing our golfers and sponsors on September 21! K. Hovnanian Homes of VA, Inc. Hometown Title/Keegan and Devol, PLC. 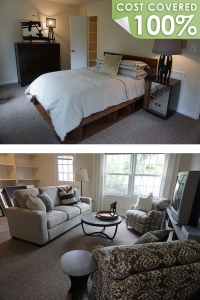 Wetland Studies & Solutions Inc.
HomeAid, M/I Homes, and 15 trade partners—including interior design company P[Four]—completely renovated and furnished a home for Pathway Homes, Inc., giving new life to the property and to the three men who live there. A lot of HomeAid Northern Virginia’s completed projects feel a bit like the big reveals popularized by HGTV. Our most recent project, the complete renovation of a townhome owned by Pathway Homes, Inc., by Builder Captain M/I Homes and 15 trade partners, definitely filled the bill. The $50,000+ project centered on a home first purchased by Pathways in 1992, which hadn’t seen a major update since. With a full kitchen renovation, updated bathrooms, new flooring, interior paint throughout, and additional storage added, it was a complete package of breathing new life into a 30-year-old home. But it was so much more: When Joe Lucado and Brian Jones, M/I Homes’ vice president of construction and project manager, respectively, saw that one of the residents was an avid reader, they added a wall of built-in bookshelves and office shelving for him. When they learned that all three gentlemen were long-term occupants, they provided swatches so that they could select flooring that would work best for their needs and tastes. And when they realized that the existing furniture was as worn and outdated as the home, they called P[Four], an interior design company that decorates all of M/I Homes’ model homes, and asked if they’d be interested in donating some furniture. Anna Smith, director of development for Pathway Homes, agreed that the transformative nature of the renovation will have a very real impact on the residents who live there, in addition to being easier and cheaper to maintain for Pathway Homes. The project—the third HomeAid has completed for Pathway Homes—was completed in two weeks. M/I Homes has served as Builder Captain for HomeAid projects numerous times, and every time, they know that the key to success is a solid team of trade partners. “Every project depends on great cooperation from our trades, and when we started this Pathways project—which needed to be done in just two weeks so as not to displace the residents for too long—we knew we’d need a solid team,” said Jerry Berman, area president for M/I Homes. Best Painting Services, LLC, is based in Springfield, Va., and was founded 16 years ago. The company specializes in drywall and paint for new residential homes. For more information, call 703-928-5136. Step Right Up to the Greatest Event of the Year! 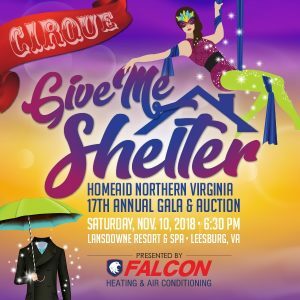 Join us under the big top for a night of huge fun, at our “Give Me Shelter” cirque-themed 17th Annual Gala & Auction, coming November 10! We’ll deliver a night full of surprises at the beautiful Lansdowne Resort & Spa in Leesburg, Va. From the moment you join us at our always-popular cocktail reception featuring a signature drink, shrimp bar, and DJ, we’ll keep you busy with exceptional silent and live auction items; three Presidents’ Circle award honors; a three-course dinner; and an auctioneer-led paddle challenge. Last year’s Gala raised $250,000 for HomeAid – let’s make this year even more astounding! There’s a lot to do between now and then, though, so be sure to register today for yourself or for an entire table of 10! Put your company’s name in lights through a sponsorship, and help make this year’s auction the best yet with your auction item donation! Want to make a weekend out of it? Then be sure to take advantage of the special room rate we’ve secured; a limited number of rooms are available—at press time, there were just 10 left—so make your reservation today. This year’s dress code will be black tie optional/fun formal. We look forward to seeing you there! There are countless ways to support HomeAid’s mission of ending homelessness in Northern Virginia. This summer, we were reminded again that professionals and partners from all walks of life can find a way to lend a helping hand to those who need it most. Even though our Night at the Ballpark event was canceled due to rain, we were still able to distribute numerous backpacks and gift cards. After the NVBIA Custom Builders Council, NVBIA Women in The Building Industry, Thompson Greenspon, Van Metre Homes, Stanley Martin Homes, Toll Brothers Virginia, and Walsh, Colucci, Lubeley & Walsh, P.C. collected more than 400 backpacks, we’ve been busy distributing the backpacks to Shelter House, Cornerstones, Windy Hill Foundation, Good Shepherd Housing and, of course, to those who came to our Night at the Ballpark before the game was called off, so that children experiencing homelessness had them in time for school. HomeAid also donated $2,500 in gift cards to help parents buy school supplies—an enormously helpful and needed gift when typical back-to-school shopping can cost several hundred dollars. Rich West, co-founder, producer, editor, and director at West Production Services, continues to use his unique talents at storytelling through videography to help share the powerful impact that HomeAid and our partners can have on our community. Last month, Rich and his team interviewed Jas Boothe, president and founder of Final Salute, Inc., an organization committed to providing housing for women veterans and their children, along with Quianna, a veteran client who was the first to move in to the recently completed renovation of Final Salute’s home in Northern Virginia. This insider’s peek of the home and what it will mean to the 10 residents and their children will debut at HomeAid’s Gala in November! As you’ll read about in our Neighborhood section, P[Four] Discerning Design furnished and accessorized a townhome owned by Pathway Homes, Inc., after M/I Homes and trade partners completed a total renovation with HomeAid. The result was a property that looked like a model home and felt to one resident like he was ‘standing in a luxury hotel.’ And last month, Model Home Interiors and Winchester Homes did the same at the Final Salute house, after Winchester Homes and trade partners completed that renovation. The result at both homes are bright, cheery, and gorgeous new treatments that give the residents an indescribable boost—and save our service provider partners untold thousands, which they can then use for programs and services for their residents! Want to get involved but not sure how? Please contact us! Back-to-school shopping, which includes school supplies, clothes, shoes and electronics, for an elementary school student costs about $650, up from an inflation-adjusted $375 in 2006, according to the annual Huntington Bank’s Backpack Index, which tracks the change in a representative basket of goods over time. A middle-school student might run $1,000; up from $525. And sending a fully equipped high-schooler off to class can cost nearly $1,500 — compared to $800 just 10 years ago. We all know that “a picture tells 1,000 words” … so what does that mean a video tells? At HomeAid Northern Virginia, we’ve turned countless times to Rich West, co-founder of West Production Services, to help us find out through videography, which gives depth to the stories of the people we serve every year and gives our partners a far greater understanding of how their support changes lives. Find out how Rich was first introduced to HomeAid and why he continues to give our organization so much. Q: You’ve been involved with NVBIA and HomeAid for a long time. How did you initially get involved? A: It’s hard to remember just how long I’ve been involved with NVBIA and HomeAid, but I certainly do remember how: Bob Barber. 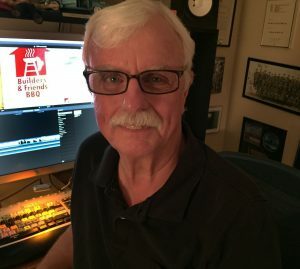 Bob had been producing the NVBIA GALA for a number of years, and it was through his involvement that we teamed up and started producing video for HomeAid. Bob passed away last year, and I miss him. I know HomeAid does, too. 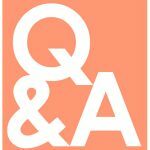 Q: You have a unique view of HomeAid, through the lens of your videography. What was your first impression of HomeAid and our work? A: I think the first thing that impressed me about HomeAid was the tremendous effort it takes to accomplish what this great organization does for Northern Virginia, from coordinating the Builder Captains to the volunteerism and dedication of the trades. And most of this goes unnoticed in our communities – without much fanfare, HomeAid Northern Virginia is making a huge difference in so many lives. A: I have to admit that my favorite project is whichever I’m currently working on! I feel especially privileged to be an eye-witness to the experience—and sincere joy—of a client doing their first walk-through. Many times, I’m also aware that there’s an expression of relief, knowing they will now have a place to call home. Q: What keeps you committed to working with HomeAid? A: I was lucky enough to grow up in a stable environment, and I realize that not everyone is as fortunate. Working with HomeAid has taught me that with or without warning, anyone can find themselves homeless and in need of shelter. I feel like I really don’t do much directly—but if I can help HomeAid out indirectly through video production, I’m glad to be of service. A: I see video production as being like a construction job. It’s a building process, and I can’t wait to deliver the finished product and hopefully witness the potential positive impact it has on others. 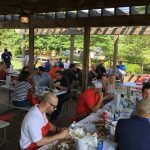 We had a blast at NVBIA’s (Northern Virginia Building Industry Association) Annual Crab Feast on August 16. Many thanks to NVBIA for supporting HomeAid Northern Virginia with a portion of the day’s proceeds! Pursuing our mission of ending homelessness in Northern Virginia is not an easy feat, and we have an enormously committed Board of Directors to guide, encourage, and help us. Many thanks to the following Board members, who are stepping down after many years of service: Stephanie Berkowitz (Northern Virginia Family Service), John DeZinno (Howard Bank), and Juston Sizemore (84 Lumber). You all have made an enormous difference, and your contributions and expertise throughout your terms will not be forgotten. If you commute on the Dulles Greenway, you’re in for a treat October 1-7, 2018! A large banner promoting HomeAid Northern Virginia’s Annual Gala will be raised during the week, donated and installed by the Dulles Greenway organization. It’s a whole new way of spreading awareness of HomeAid’s work in our region. Jas Boothe will be a featured speaker at HomeAid Northern Virginia’s Gala this year, giving us the opportunity to hear directly about the impact HomeAid and partners’ work has meant to her, her organization, and clients. If you can’t wait that long to see how things are going at the newly opened house, check out this new video that Final Salute produced! As the months seem to fly by, it’s never too early to mark your calendars for upcoming events: November is Homelessness Awareness Month, and we will have an outreach event in the late fall. Watch this space for further updates! After raising serious funds and fun at the First Annual GolfAid event at TopGolf Loudoun, we’ve already set the date to return next year: block off the afternoon of March 7, 2019, and plan to join us for networking, drinks and food, and perfecting your swing! Law Rocks – September 13, 2018, 9:30 Club. HomeAid has been chosen by Walsh, Colucci, Lubeley, & Walsh as a beneficiary of this fundraiser. NVBIA Oyster Roast – September 27, 2018, Potomac Shores. Guests are encouraged to bring thermal tops and pants in men’s sizes M, L, XL along with thermal socks. HomeAid will distribute these items to chronically homeless individuals.